A team of Royal Rangers commanders led by Commander Stephanie designed and made a nativity scene for Calvary’s Christmas Decoration contest. 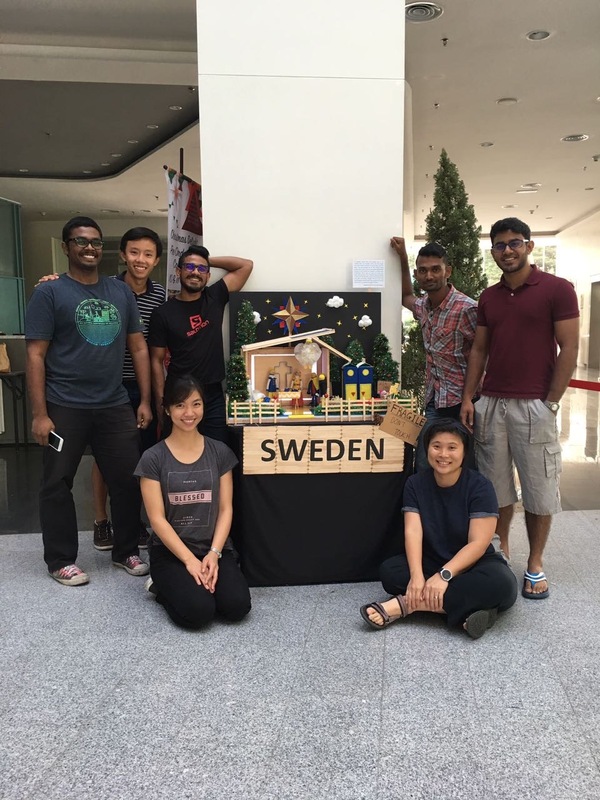 Participating teams were challenged to re-create a nativity scene using different country themes. Royal Rangers selected the country of Sweden. The concept of the scene depicts a manger located next to a fully occupied inn. 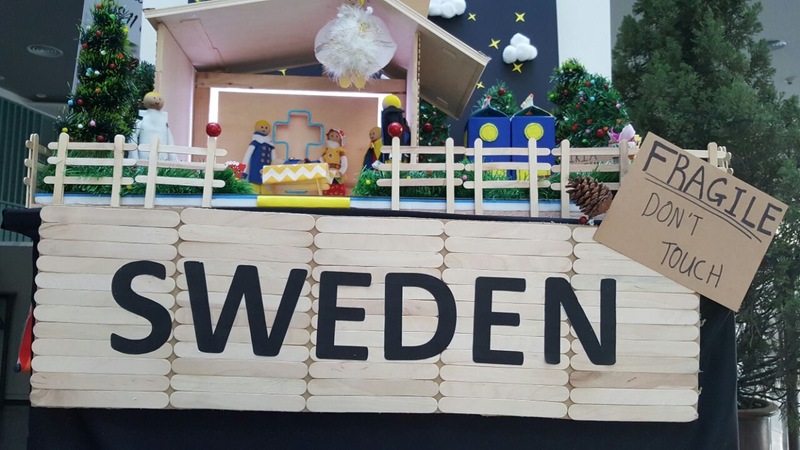 Swedish elements featured the country’s flag, Dala horses, the IKIA inn (IKEA) and Swedish costumes. Recycled materials used reflect the country’s commitment to recycling 90% waste. The entire stable, manger crib, the characters and animals and surrounding decorations were made out of ice-cream sticks, while the inn was made out of milk cartons. The team’s Royal Rangers emblem was made out of aluminum cans to look like the “Star”. To add flavour to the stable, the backdrop featured a back-lit wall with an outlined cross that lit up while it was displayed in the CCC concourse area. Congratulations for winning 2nd place and thank you to all commanders who participated.